Cryptocurrencies have taken the world by storm. As a complex new kind of money, the space has drawn attention, both positive and negative, from tech junkies, economists, governments and entrepreneurs alike. It’s part of a wider movement to decentralize the web and the economy as a whole. But where do they actually come from? How does a Bitcoin come into existence? The process is complex, but the simplest explanation is that individuals with powerful computing rigs essentially trade electricity for crypto. The individuals with the rigs are called miners, and not only do they create new coins, but they are also responsible for verifying transactions and maintaining the security of the blockchain. This is done through a process called mining. The idea comes from a person or group of people under the alias Satoshi Nakamoto who created the world’s first true cryptocurrency, Bitcoin. Nakamoto sought to build a system that would allow people to transact digitally without needing a third-party intermediary. To achieve this goal, Nakamoto created the first blockchain, a technology which can effectively be described as a distributed digital ledger. Each blockchain contains a chronological record of all the transactions within a certain block, as well as a cryptographic record of the previous block. This innovation prevented the "double spending" problem that Nakamoto’s predecessors were unable to solve. Maintaining this record requires miners using specialized hardware to solve complex equations in order to secure each transaction within the blockchain.For their efforts, miners receive small fees for each transaction they verify and add to a block. Additionally, miners will receive a generous reward if they are able to create a new block. When the Bitcoin network was created, the block reward was 50 Bitcoin, but to preserve the scarcity of the coin, the reward is halved every 210,000 blocks. Currently, the reward is 12.5 Bitcoin for each mined block, and is expected to be split again in May 2020. In total, only 21 million Bitcoin will be mined, with the last block to be created in May 2140. To further preserve the incentives for those participating blockchain, the mining process becomes more and more complex over time. This helps increase competition and takes into account new technological developments that could increase computing power or decrease electricity costs in the future. Given the decentralized nature of the blockchain, consensus is everything. This is done through the proof-of-work algorithm. If there is a transaction or block that is questionable, the miners will make a joint decision to determine its validity. The decision is made concrete by the group of miners who have the most mining power. Miners are encouraged to maintain the integrity of the blockchain from transaction fees and rewards. To alter or hack into the blockchain, an organization or individual would need control of 51% of the total hash power. Thanks to this mechanism, it is practically impossible to falsify or corrupt transactions. This same principle also applies to the new rules that are added to the protocol, or when the protocol is altered in any way. These changes can occur for several reasons, from underlying security risks, or a simple upgrade in the way the protocol operates. Over time, mining has become a very competitive field. In the early days, all that was needed to participate was a desktop computer and associated software. However, with the growing popularity of Bitcoin, miners began using "graphic processing units" (GPUs) to maximize processing power. Now, in order to compete, miners need highly specialized hardware to mine: "Application-Specific Integrated Circuit " (or ASIC). DragonMint of Halong Mining, coming in at 16TW / h, the DragonMint is one of the most powerful mining platforms in existence. It is also the biggest competitor of Bitmain, which dominates the mining industry today. Bitmain’s Antminer S9 was once the most powerful platform on the market. The Antminer S9 handles an impressive 14TW / h hash power with moderate power costs. The Pangolin miner WhatsMiner M3 , although not as strong as the Antminer S9, still boasts 12.5TW / h.
ASICs became the standard for the miners and the difficulty to solve the blocks increased exponentially. Even with the specialized hardware, some miners seek to enter a mining group so that they have a greater potential to win block rewards. Though miners are rewarded for each block they solve, sometimes their stand-alone hash power may not be enough to create a new block. This led to the creation of mining groups that, in essence, share computational power to increase their chances of solving a block. Though each miners’ reward may be smaller, their income is more consistent. Four of the five largest mining groups are located in China. But there are other options, like NiceHash where you can rent your processing power to the highest bidder. Bitcoin is the most popular cryptocurrency which requires mining, but there are others, as well. Each with their own hardware requirements and rules. Mining has become an intense industry, and with the crash of the cryptocurrency market, many aren’t breaking even. In light of depressed prices, miners are looking everywhere to find cheap electricity and supportive incentivizes to keep their businesses afloat. Even still, some have closed up shop, leading to a decline in difficulty in recent months. 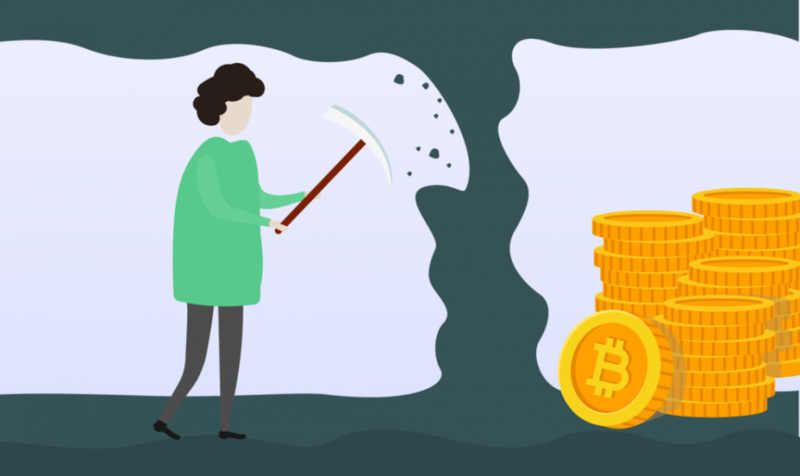 While the industry is certainly far from dead, the downward pressure on prices is taking its toll, leading many of the miners that are still around holding on for a change in luck. In the coming years, mining is likely to become an even more exciting industry, with the energy sector constantly moving towards renewables and computer chip companies bringing new innovations to the table on a daily basis. If you’re not mining yourself, it may be worth keeping on eye on the industry!